ISO 17712 establishes uniform procedures for the classification, acceptance, and withdrawal of acceptance of mechanical freight container seals. It provides a single source of information on mechanical seals which are acceptable for securing freight containers in international commerce. The purpose of mechanical seals is, as part of a security system, to determine whether a freight container has been tampered with, i.e. whether there has been an unauthorized entry into the container through its doors. Seals can be effective only if seal users properly select, store, account for, apply, document and attend to seals prior to use and in use; whilst these issues are not addressed in ISO 17712, they are relevant to the successful use of the seals covered by this ISO standard. Seals that conform to ISO 17712 are suitable for other applications, such as bulk railcars or truck trailers used in cross-border and domestic operations. 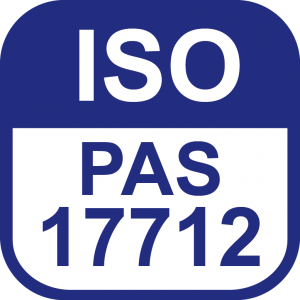 Users and regulatory agencies can apply this type of ISO 17712 to other applications as they deem appropriate. The current ISO security standard requires independent confirmation for testing to determine a security seals physical strength (as barriers to entry). The requirements for certain security level of seals are defined in this specific standard. 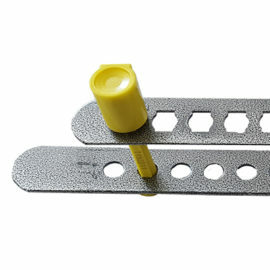 The seals that belong to the High security level and Security level are also called “barrier seals”. They are made of different metals or metal alloys, meaning that they require special tools to be opened, such as bolt cutters or pliers. 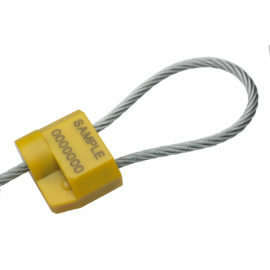 Cable seals and bolt seals also fall into this category of ISO 17712. 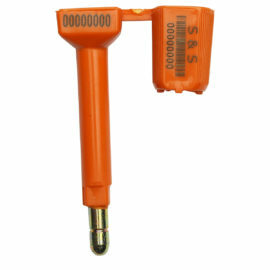 Designed to deter opportunistic theft of high value goods, they also can often be branded and numbered to improve tamper resistance and provide excellent security for containers. 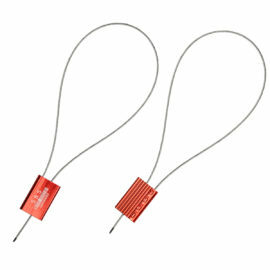 The seals that are in the Indicative level as to ISO 17712 are made of plastic or thin metal. ISO 17712 defines three types of classes of seal strength or barrier capacity: “I” for Indicative; “S” for Security; and “H” for High Security. C-TPAT requires the use of “H” class seals. Suppliers must use independent third party test laboratories to validate a seal’s classification. Labs must be accredited according to ISO/IEC 17025 (General requirements for the competence of testing and calibration laboratories) to perform testing specific to ISO 17712.